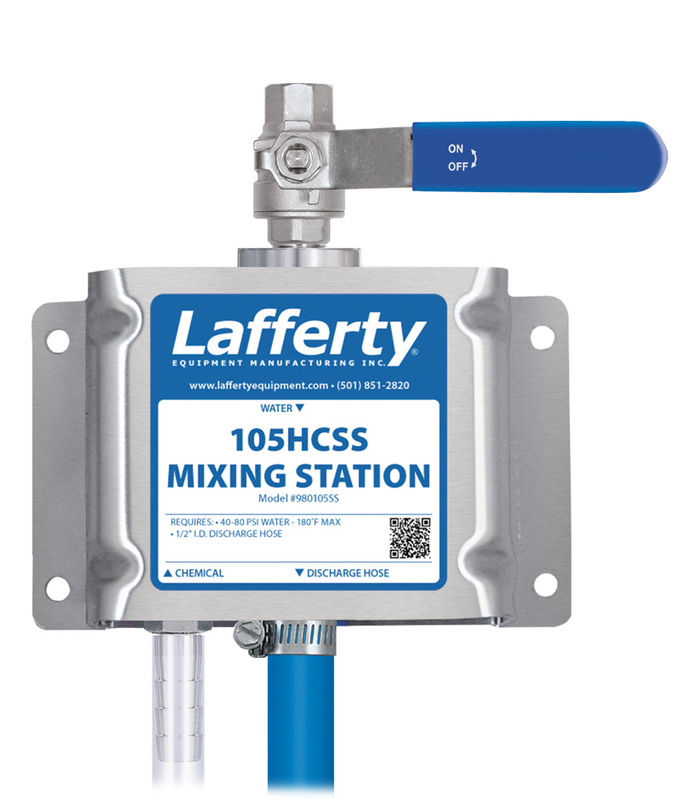 105HCSS Mixing Station | Lafferty Equipment Manufacturing, Inc. The 105HCSS Mixing Station has a water flow rate of 1 GPM @ 40 PSI and is a "high concentrate" chemical proportioner for filling smaller sized containers with strong solutions. This stainless steel venturi injection system uses city water pressure (40 - 80 PSI) to draw and blend a high concentration of chemical into the water stream to create up to 1:1 dilution ratios. Ball valve activation allows for hands-free dispensing.